The cooling tower is a kind of equipment for direct heat exchange between water and air. 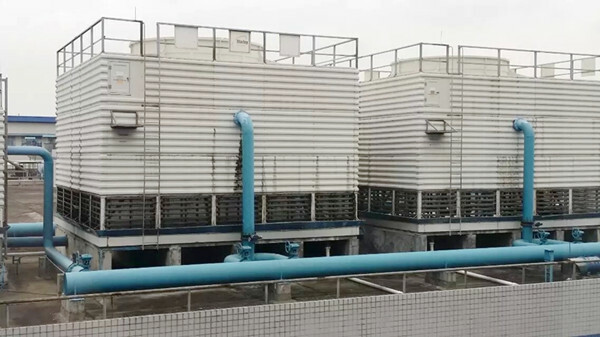 It is mainly composed of cooling tower fan, cooling tower motor, cooling tower packing, sowing water system, tower body, water pan, etc., Mainly by fan The temperature is relatively low air and water in the filler heat exchange so as to achieve the purpose of reducing water temperature. Counter flow cooling tower is a cooling tower that flows hot water from top to bottom through the packing, and air flows from the bottom up through the packing, with hot water and air flowing nearly 180 Â°. cross flow cooling tower is a cooling tower in which the hot water flows from the top down through the packing and the air flows horizontally through the packing and the direction of hot water and air flows is nearly 90 Â°.